Thanks to Emily McDonald for sponsoring this review! This film focuses on different life experiences, both positive and negative, involving an invisible disability. Additionally, the film emphasizes the importance of friendship and family. Summary: Dory, a blue tang fish, is on a quest to find her mother and father as she deals with the daily challenges of short-term memory loss. Stay tuned for Vito’s review of Finding Dory! This film does a great job of exploring notions of “Othering” and the detrimental effects of stereotypes by addressing important concepts that include the body and gender. This Disney film is self-aware in many respects, adding a layer of complexity to the film. Summary: An unlikely duo, a rabbit and a fox, become friends and save the city of Zootopia. Stay tuned for Vito’s review of Zootopia! This film includes important themes such as dealing with fear and loss. In addition, the film addresses stereotypes about the body. An unlikely pair, a dinosaur (Arlo) and a human (Spot), become friends as Arlo tries to find his way back home. Stay tuned for Vito’s review of The Good Dinosaur! This review is sponsored by Dani Marie. Thank you for your support! This film does little to challenge dominant media narratives regarding cultural identities. However, the film does address important topics that include knowledge production, questioning authority, and the significance of difference. Summary: In a dystopian community devoid of individuality, feelings, and choice, Jonas is given the opportunity to learn about different people, places, and experiences. This film offers a complex depiction of disability, race/ethnicity, religion, and sexuality. Given that it includes dark themes and attempts to subvert stereotypes through the regular use of hateful acts by an “evil” character, this film is suitable for a mature audience who understands its subversive potential. 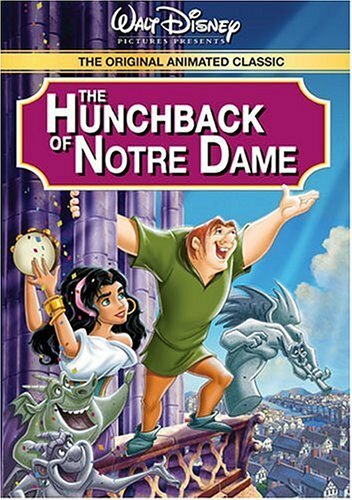 Two social outcasts, Quasimodo and Esmeralda, come together to fight an evil politician who threatens their freedom and their lives.